Names in and around Walt Disney World almost always serve a purpose. They recognize achievement, such as in the case of the Inventor’s Circle found in Epcot’s Future World West. They inspire and grant guests the ability to recognize the space they are in, seen in any land (Serka Zong), any pavilion (Superstar Television Theater), and any attraction (Irrawaddy Irma). Real or fictitious names are used throughout the parks and resorts to further a story, just like the window we’re looking at today. 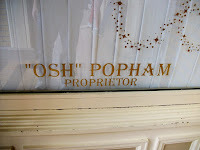 Painted in gold letters along the bottom window ledge, just to the side of the main entrance to the Emporium, is the name and title “Osh” Popham, Proprietor. Sounds like a made up name, doesn’t it? Well, it is, but it was created for the Magic Kingdom. Osh happens to be a character from the 1911 novel, Mother Carey’s Chickens, by Kate Douglas Wiggin. The book was adapted into a live action musical by Disney and given the new title of Summer Magic in 1963. Legendary performer Burl Ives played the role of Osh in Summer Magic. Summer Magic takes place in the town of Beulah, Maine and Osh is the caretaker of the home that the widow Margaret Carey and her children, including a teenage Haley Mills in the role of Nancy, move into. Osh’s maneuverings keep the family in the house and weaves them into the fabric of the town. Oh, and he has a couple of words of wisdom to pass along to the family, including one in song with Ugly Bug Ball. While Ives is deserving of any accolade or nod, fictitious or not, I’m sure you’re wondering what the tie to Main Street U.S.A.’s Emporium is. Certainly the era of Main Street and Summer Magic line up, but we have to have more than that, right? 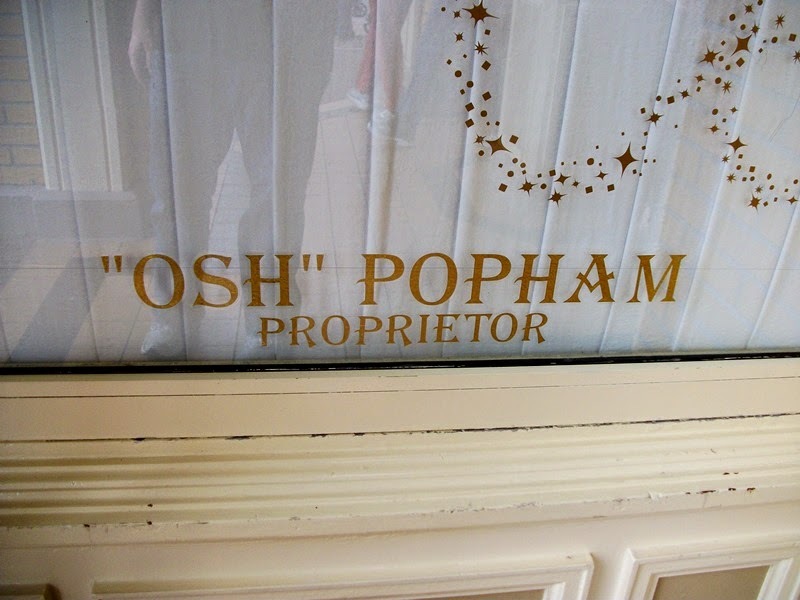 As it turns out, Osh Popham isn’t just the house’s caretaker, he also happens to have a shop in Beulah. It may not carry as many items as the Magic Kingdom’s main shop, but Osh’s hardware store is critical to the refreshing of the rundown home in the film, as would any hardware store in a turn of the century small town.